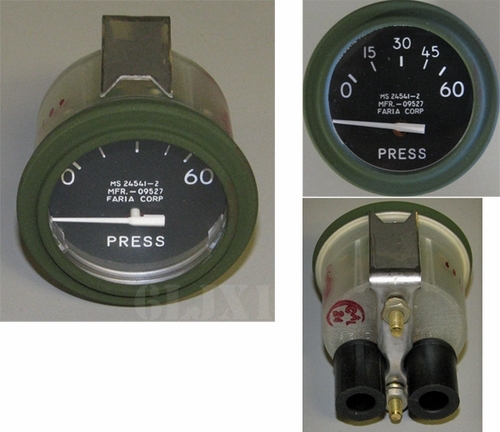 Oil pressure gauge, p/n MS24541-2. NSN 6620009388212. Gauge is for use with 24 Volt systems. Gauge is used on various vehicles, generator sets, etc. Works with our MS24538-1 sender. Includes mounting hardware. Damped gauge pointer for stable readings. Gauge must be properly grounded via the mounting bracket to function correctly. Made in USA by Faria Corp.